Innovation, capital efficiency and broad market access are the hallmarks of Eris Exchange, which lists standardized LIBOR interest rate swap futures offered through TT®. 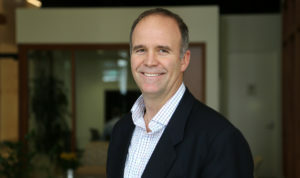 In this edition of “Five Questions with…,” we talk with Geoff Sharp, who recently joined Eris as head of sales. We will explore how Eris continues to innovate and attract a broad range of clients to its market. What brought you to Eris? Geoff: After college, I spent my entire career in OTC markets; first structuring FX and interest rate derivative strategies for Credit Suisse in London, then trading both at Lehman in Tokyo and New York. This landed me on Lehman’s OTC interest rates derivatives sales desk in 2005, and I then moved on to Nomura as it expanded its global markets franchise following Lehman’s bankruptcy. Following the financial crisis, it was apparent to me from congressional and public debate that the structure of global financial markets would change, especially in the OTC market. Ironically, it wasn’t until the banks actually started to implement the regulatory requirements necessary to continue to operate in OTC markets that I questioned the very structure of traditional OTC markets. I went from believing that the new regulations were destroying the old OTC markets, to asking myself the question, “Why aren’t plain vanilla derivatives simply listed and traded on an exchange for everyone to access?” OTC derivative regulation is extremely cumbersome (dare I say messy? ), but essential. You would never build the market this way from scratch; it would look more like traditional futures markets. This is precisely the model we are developing, and why I joined Eris. What is the scope of your responsibilities as head of sales for Eris Exchange? Geoff: I am responsible for our sales strategy and driving our sales process. This includes spreading the Eris value proposition and driving traders to interact with our markets through their TT® screens, or by other means. We are continuously engaging with clients about our latest product developments and gathering ideas for further innovation. We solicit direct feedback from our participants to improve the trading experience, create new trading opportunities and devise tools that facilitate the use of our offering. We drive client engagement with channel partners like Trading Technologies through electronic communications, in-person and virtual events. Can you talk about some of the client-driven feedback turning into innovation? Geoff: Sure. On a recent client visit in Chicago, a series of clients inquired about hedge ratios for relative value trading strategies using Eris and Treasury Futures. We subsequently devised ways to represent these hedge ratios through the fixed income tools provided by Trading Technologies. 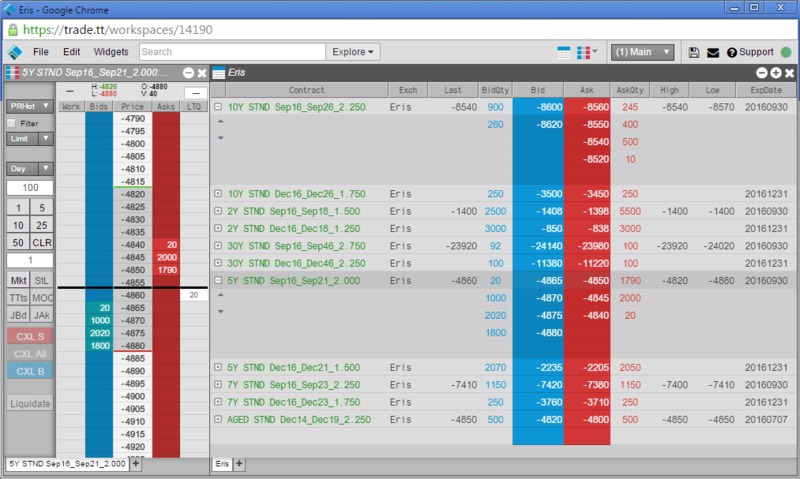 Currently we have clients trading Eris invoice spreads through X_TRADER® using Autospreader®. Are there aspects of TT that relate well to what you do at Eris? Geoff: I view Trading Technologies as a cutting-edge innovator. TT fully embraces market structure shifts. Highlighting this mindset was the initial decision to support Eris early on in our development. The best way to drive capital efficiency and optimize trading instruments is to offer electronic access across multiple asset classes, including cash Treasuries and interest rate futures. TT is an embodiment of this philosophy. Trading Technologies recently rebuilt its entire platform. Eris is attempting many of the same transformational activities. By futurizing interest rate swaps and matching the economics of traditional OTC swaps to the penny, Eris captures the advantages of OTC swaps. As a result, Eris contracts allow participants to achieve clean hedges though markets open to large pools of futures users and offer many more points on the curve than traditional futures contracts do. What is the opportunity or Eris trade you are most excited about? Geoff: The most exciting things about Eris swap futures are simplicity, efficiency, transparency, and unequivocal universal access to all market participants, not just the biggest players. This means that all the trading strategies formerly accessible only to the market power houses are now available to anyone with or prepared to open a futures account. 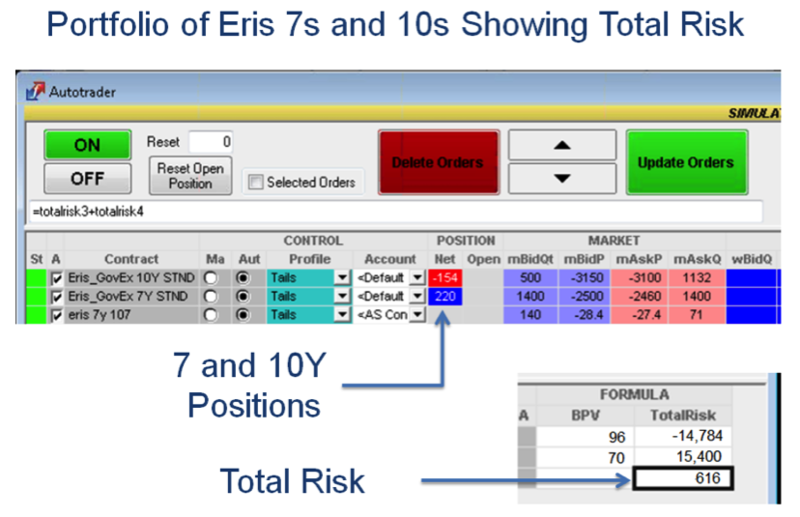 As an example, traders can now trade spreads between UST futures and Eris swap futures, creating basis positions. Let’s say a sizable buyer enters the UST futures market to cover duration. It richens UST futures and you sell to the buyer. Rather than chase the UST futures higher to cover your duration, the trader can use Eris swap futures to cover the duration. In doing so, the trader creates a spread position between UST futures and LIBOR rates. The beauty of both of these trading strategies is that Trading Technologies has built tools to easily monitor and trade Eris, displaying futures in both NPV and rate terms. Viewing rate terms is useful when trading similar instruments through Autospreader. Traders can use these tools and features to seamlessly spread Eris against UST futures, UST cash, Eurodollars or any other instrument on the TT platform.